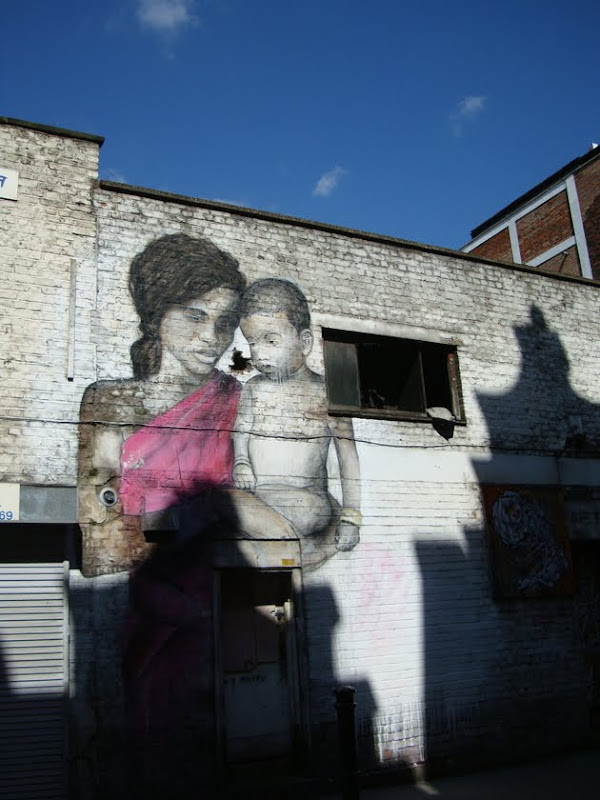 This week I clung tightly to my handbag and took to the neighbourhood of East London. Brick Lane, Old Street, Shoreditch and Spitalfields are the equivalent, some would say, to Sydney's Surry Hills and Newtown. This place oozes coolness. Design studios, awesome exhibition spaces and funky little cafes dot the streets of the East and I was left feeling incredibly refreshed. Street art here is embraced so heartily. It's not harsh or threatening, but rather pleasant in its randomness. I would turn a corner and find a small sprig of mushrooms stenciled on a wall, or a little boy pointing to the sky. I love that the artists here are smart in how they use their environment and whilst I didn't find any of Banksy's work, I discovered ROA (pictured first), who is perfect for demonstrating my point. 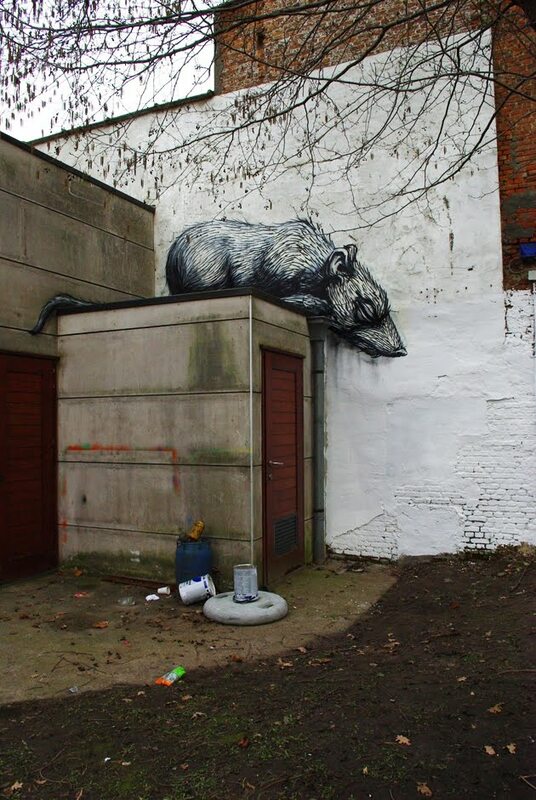 "ROA started painting abandoned buildings and warehouses in the isolated industrial outskirts of his hometown, Ghent, in Belgium. Fixating on the animals he found there, the wildlife became the central subject matter of his work, inspired by their clever ability to adapt as scavengers in order to survive. He used the dilapidated, coarse interiors and exteriors of the unyielding landscape as a canvas to portray his large-scale creatures". I'm in awe of this guy. His official exhibition begins next week and I can't wait to see more.